How Can Single Parents Handle a Child Custody Evaluation? Since 2004, Miriam Galindo, PsyD, has provided co-parenting, child, family, and reunification therapy to clients in Irvine, California, through her own private practice. Active in her professional community, Dr. Miriam Galindo belongs to such organizations as the California Association of Marriage and Family Therapists (CAMFT). An independent professional organization, CAMFT establishes and promotes high ethical standards and advances the marriage and family therapy profession. Toward this end, it maintains the CAMFT Educational Foundation. Established in 1977, this charitable organization awards grants and scholarships to help professionals earn their license as a marriage and family therapist. It also offers other assistance to people pursuing a job or conducting research in the field. This financial support largely comes from donations from members and other committed individuals. These gifts can be made in the form of a monetary gift using a credit card or check. Gifts of this kind provide immediate funding to grants and scholarships. Individuals can also support the CAMFT Educational Foundation by shopping through Amazon Smile. Or they can make a bequest to the organization. Both methods are simple to establish. However, bequests have the added benefit of either establishing a new scholarship, donating in honor of a loved one, or designating funds for a specific purpose. Regardless of the method used, contributions made to the organization are entirely tax deductible. Dr. Miriam Galindo, a diplomate of the American Board of Forensic Social Workers, offers counseling services from her practice in Irvine, California. In addition, Dr. Miriam Galindo provides child and family therapy to clients involved in high-conflict divorces. Many adults believe divorce should be avoided at all costs, but staying in an unhappy marriage may be as damaging to children as a turbulent divorce. As children develop, they naturally internalize both of their parents. When their parents are constantly at odds, children internalize those conflicts. Over time, children start believing they are responsible for their parents’ unhappiness. Researchers believe this occurs because children are egocentric and believe they are more powerful than they actually are. Combined with the other stressors of living with parents who do not get along, this problem may result in a child’s fear of intimacy, mood issues, self-esteem issues, or mental health concerns, such as depression. California-based psychologist and social worker Dr. Miriam Galindo serves at-risk children and families through her own practice in Irvine. A diplomate of the American Boards of Forensic Social Workers and Forensic Evaluators, Dr. Miriam Galindo has been working as a child custody evaluator for more than a decade. For single parents, child custody evaluations can be extremely nerve-wracking. But they don’t have to be. When such an evaluation is ordered by the court or requested by the other parent, individuals should talk to their lawyer about the experience. They will have more information about the evaluation process and will give single parents information to guide them during the process. It’s important that single parents follow this guidance. In preparation for an evaluation, single parents must make sure they have clear answers about any question the evaluator asks. All answers must be honest and directly address the question. 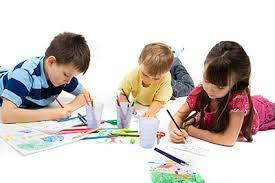 Parents must avoid going off on tangents during their answers and must avoid lying. Part of an evaluator’s training is to spot behaviors associated with lying and it will not reflect well when a person is caught being untruthful. Beyond that, it’s important that single parents make a good impression when visiting with an evaluator. This involves making sure the house is clean and orderly and that their child’s medical and school records are easily accessible. Meanwhile, single parents must never bad mouth the other parent or make an accusation without evidence to support their claim. Instead, they should share the strengths and weaknesses that they’ve seen from their ex. Dr. Miriam Galindo is a licensed psychologist and social worker in California. Helping families involved in divorce, Dr. Miriam Galindo is a registered child play therapist. Typically involving a therapist and a child with dolls, the play gives the therapist an opportunity to observe the child’s treatment of the doll. For example, mistreatment of the doll suggests that the child may have been mistreated. In this creative arts technique, therapists may ask children to draw a timeline of their life and add colors to show their feelings during those times. Common colors may include red for anger and blue for sadness. Designed to help kids express their emotions, games such as pick-up sticks, checkers, chess, and other strategy games may build a bond between therapists and children and help children feel a higher level of control and focus in their lives. This, in turn, helps them feel happier. Since 1993, Miriam Galindo, PsyD, has helped children as a social worker and psychologist, first at Olive Crest and more recently at Families in Transition. Dr. Miriam Galindo maintains active membership with the California Association of Marriage and Family Therapists (CAMFT), which sustains those who support families through advocacy and professional development. CAMFT assists California marriage and family therapists through the CAMFT PAC and CAMFT Federal PAC, organizations that pool the resources of members of the profession to elect and re-elect candidates who sanction marriage and family therapy providers and the legislation that will best serve them. Many of the issues the CAMFT PACs consider to be policy priorities recur annually rather than being settled in a single legislative session. The types of not only elections they support, but also donations they can accept separate CAMFT’s two PACs. The CAMFT PAC focuses exclusively on state-level elections, while the CAMFT Federal PAC handles federal elections. The CAMFT Federal PAC cannot accept contributions from corporations, though the CAMFT PAC can use such funding for state elections. Licensed psychologist and social worker Miriam Galindo, PsyD, has worked with the Orange County Superior Court as part of its approved panel of experts regarding child welfare issues. One area Dr. Miriam Galindo works in, play therapy, can be used to treat a variety of issues, including attention deficit hyperactivity disorder (ADHD). Play therapy can help children with ADHD express themselves, making a connection with their parents or professionals through play that they might not otherwise make. Even neurotypical children can often hide their thoughts, and play therapy affords them the chance to express themselves without aggravation or intrusion. Allowing them to play freely during play therapy helps ADHD children even more than neurotypical children, as aggressive imposition of structure can make a child feel abnormal or unwanted. Some techniques that can help children with ADHD include helper toys and fantasy play. A helper toy, such as a puppet or doll, can help redirect emotions when a child is upset or struggling. Fantasy play, meanwhile, can turn a disappointment such as a missed opportunity or sad day into a chance to explore one’s mind and diminish irritation. For more than two decades, Miriam Galindo, PsyD, has provided a range of child and family therapy services to clients in California. An active member of her professional community, Dr. Miriam Galindo belongs to such organizations as the California Association of Marriage and Family Therapists (CAMFT). 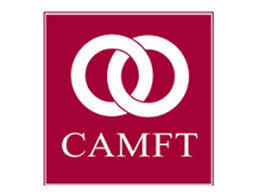 An independent professional organization, CAMFT advances the science and art of marriage and family therapy while maintaining high standards and ethics for licensed professionals. Toward this end, it recently partnered with Give an Hour, an organization dedicated to providing hope and help to people who have been faced with challenges resulting in emotional pain, to address the issue of parent-child separation at the Mexico-U.S. border. Through this partnership, CAMFT hopes to create a network of licensed marriage and family therapists (LMFTs) that can provide mental health services to people affected by the situation at the border. According to the organization, children who are suddenly separated from their parents have a greater chance of developing numerous cognitive, behavioral, and psychological issues, such as anxiety and attachment disorders. Fortunately, LMFTs are experts in handling this sort of trauma. Both CAMFT and Give an Hour encourage California LMFTs to volunteer their time to serve immigrant and refugee children and families. While Give an Hour plans on calling on its own volunteer network, CAMFT plans on reaching out to members who can either volunteer to assist those who are affected by parent-child separation at the border or help the organization find mental health providers who speak Spanish and are willing to volunteer their time.